I’m just stopping by super quick to let you know about a FREE online live workshop I will be teaching called “Sales Funnels for Teacherpreneurs.” In this 30 minute live training, I will answer your most pressing questions about using sales funnels successfully to promote your teacher created products! How to set up the lead magnet and follow up sequences – even without an active blog! 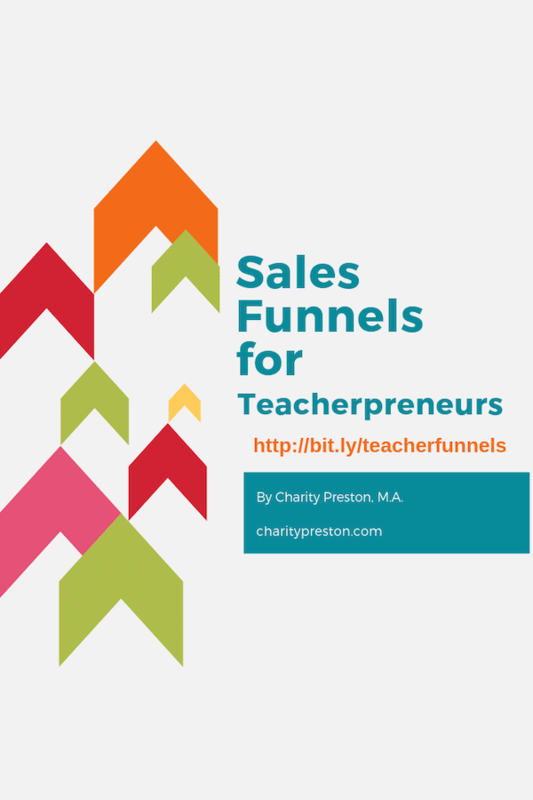 If you want to learn how to utilize sales funnels better in your teacher seller business, you do not want to miss this! Created to only be 30 minutes for easier learning modules! Last tip: You will learn even more by inviting a blogging friend to also register. Why? It is proven that if you learn something new, having a like-minded colleague will help to keep you both accountable when putting it into action. Plus, it’s always more fun to learn when you’re learning with a friend! Make sure to get registered for this FREE LIVE ONLINE WORKSHOP now! Click here to register in one-click => I WANT TO ATTEND!